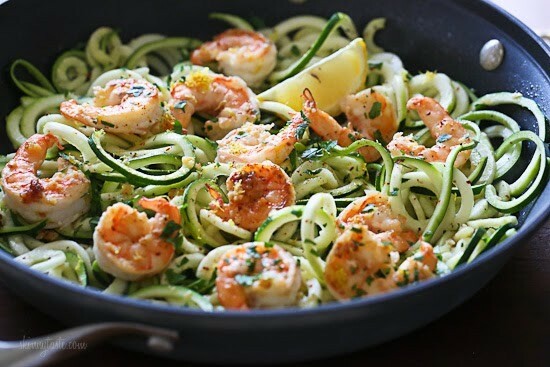 Shrimp Scampi Zoodles for Two, a delicious garlic shrimp and lemon dish over zucchini noodles is an EASY low-carb dish that takes less than 20 minutes! It’s also gluten-free, paleo, Whole30 and keto! 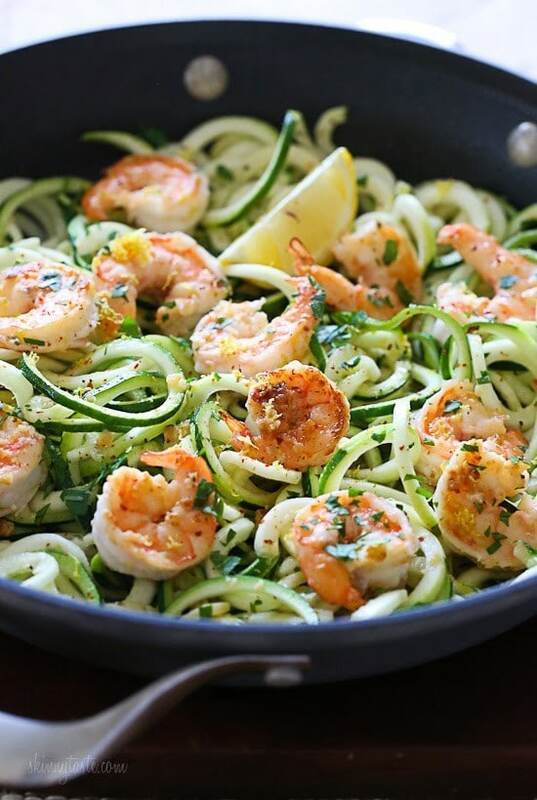 Ever since buying my FAVORITE cooking gadget, the Inspiralizer I was hooked! 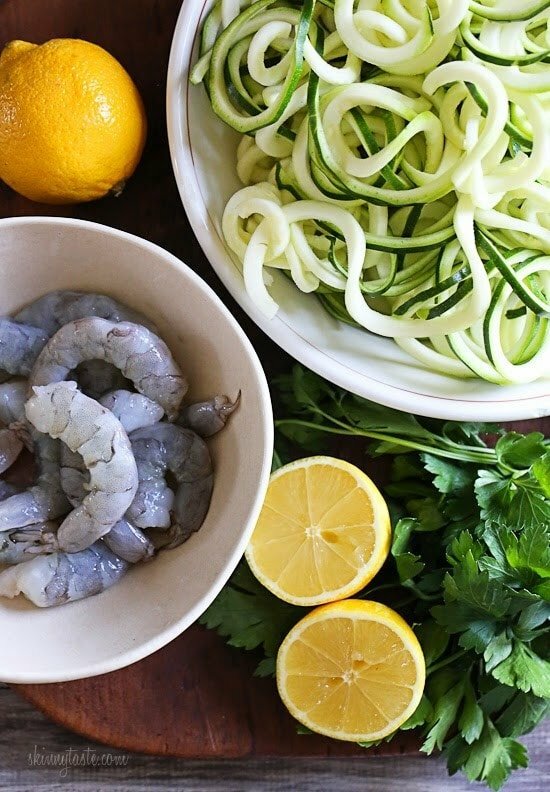 I’ve been swapping pasta for zucchini noodles ever since. 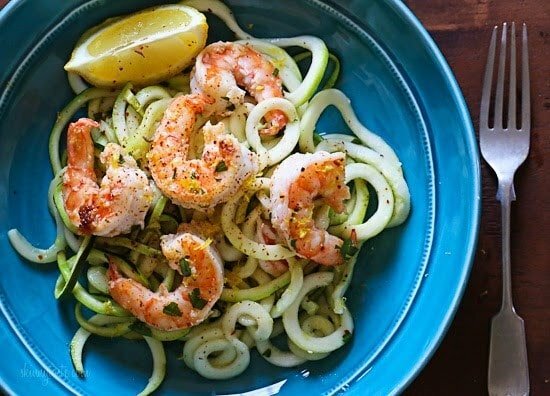 It’s the easiest way to make zucchini noodles, cucumber noodles, sweet potato spirals, spiralized beets and more! Prior to owning one, I used my mandolin but it’s so much quicker and easier (and safer) with this fun gadget – you NEED one!! 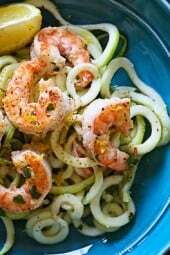 I took a break from zoodles for a few months because I may have over-did it this summer, but now that it’s January I dusted off my spiralizer and have been making them all week. Cut the noodles into 6 inch lengths so they are easier to eat. yet warm. 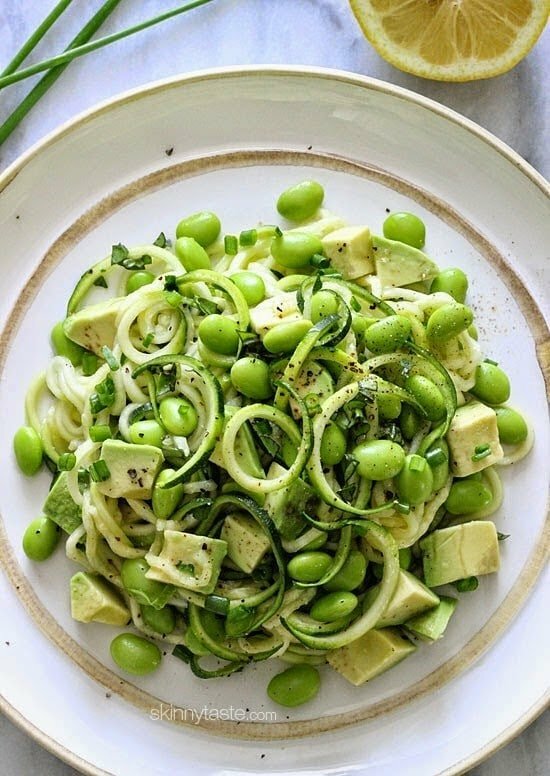 You can even eat it raw, like in this awesome Raw Spiralized Zucchini Salad with Avocado and Edamame. 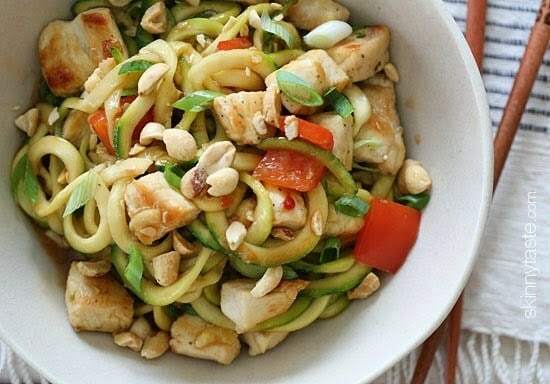 Zucchini noodles are also great in Asian dishes, try this Kung Pao Chicken Zoodles, under 300 calories! 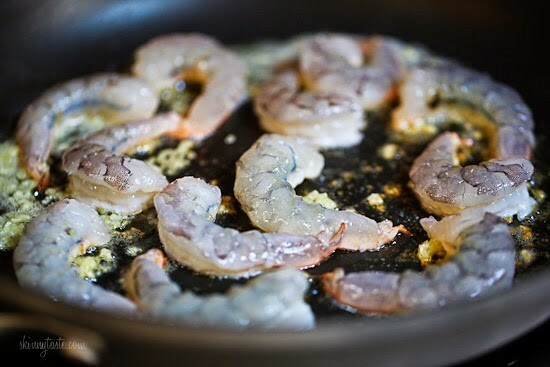 And if you love shrimp scampi, I think you’ll love these Shrimp Scampi Tacos!